I was interested in learning how Neuron ESB performed logging internally. At first I used Process Monitor. I found a WriteFile event, where a log file was updated. I checked the stack under event properties. 1. Starting WinDbg (x64) as Administrator. 2. 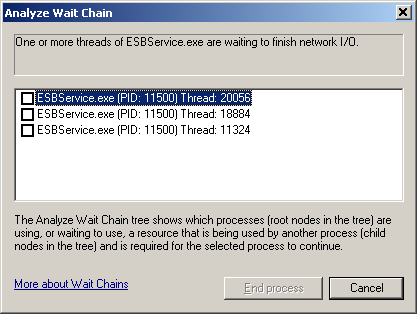 Attaching to the ESBService.exe process. 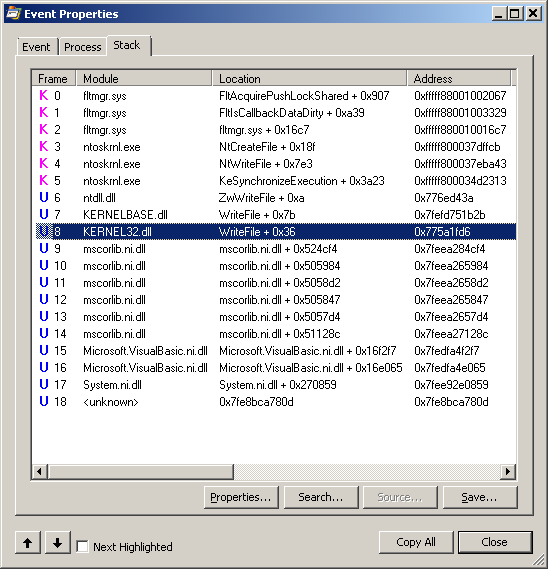 This showed the .NET call stack every time files were written. Most WriteFile calls were for logging (as expected). Having years of experience with log4net, I decided to use and recommend that. Windows Update problems on new Windows Server 2012 (R2) machines are fairly common. This usually works, but unfortunately it also resets parts of the Windows Update history. In some cases it’s not necessary to clear the SoftwareDistribution folder. If Windows Update is stuck at Preparing to install for a long time (hours), the problem may be resolved simply by restarting the Windows Update service. Usually the Windows Update service will be started automatically. This simple procedure solved the Windows Update problem I experienced today. Afterwards it was no longer stuck, but installed updates normally. I recently decided to repurpose a Fit-PC3 as a pfSense firewall. To do this I needed more ethernet ports, so I bought a 4xLAN FACE module. After installing the 4xLAN FACE module, the Fit-PC3 would not boot or display anything. USB ports had power, but other than that it did nothing. Checked the 4xLAN FACE module for damage or other obvious problems, but found none. Tried reseating the 4xLAN FACE module, which had no effect. Removed the FACE module and noticed that the machine started normally. Mounted the original 4xUSB FACE module and the machine also started normally. Reseated the 4xLAN FACE module multiple times, but the Fit-PC3 still didn’t work. Removed the FACE module again. Checked the latest BIOS version and noticed a long list of changes. Mounted the 4xLAN FACE module and the Fit-PC3 could now boot and display normally! It’s unknown to me which BIOS version fixed the problem, but one of them did. The latest BIOS versions add a lot of options, so that alone makes it relevant to update. The bottom line is: Update a Fit-PC3 to the latest BIOS version before installing a FACE module to avoid potential problems.